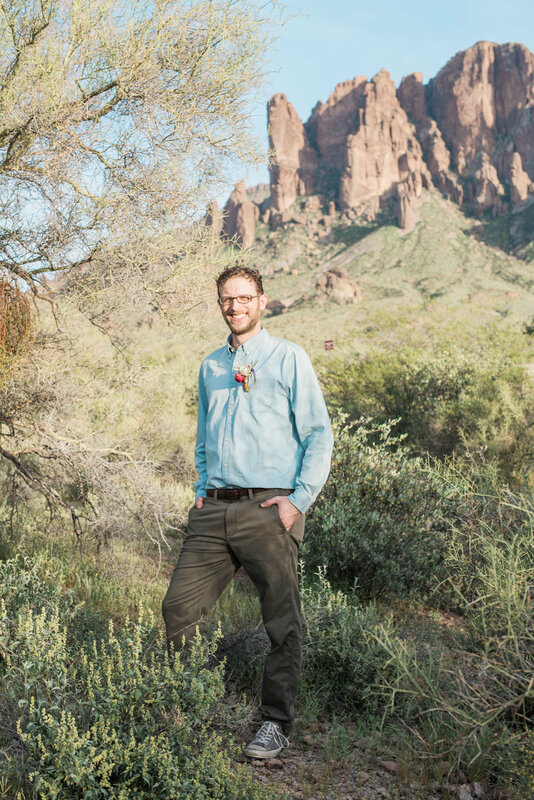 When Elizabeth contacted me last year to do the photography for her outdoor desert wedding, I jumped at the chance! 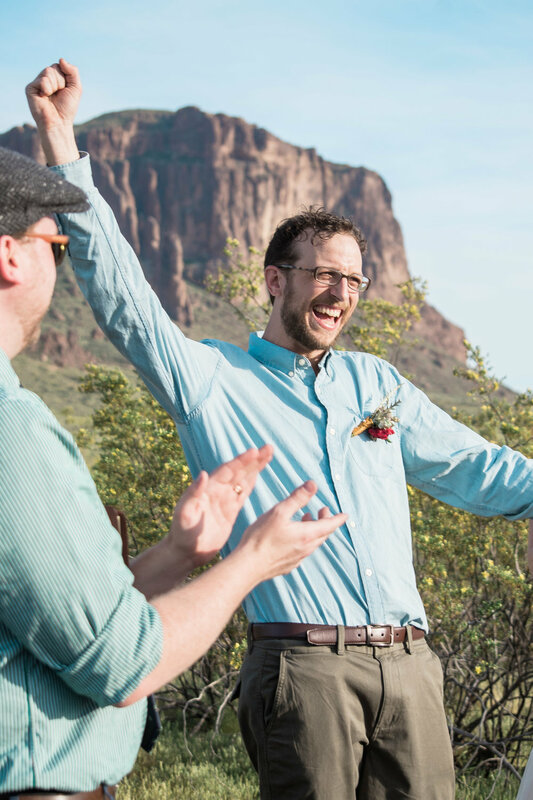 Even though they don't live in Arizona, she'd spent some time out here for school and they decided to have an intimate, desert-style ceremony with the amazing backdrop of the Superstition mountains in Mesa. Normally I am able to work with couples a few times before the big day. I do a consultation, and usually an engagement shoot. These meetings provide great insight to a photographer; you get to know someone's personality and can gauge how to work with them on the wedding day. Just the groom...they never get enough pictures! With this couple not being in Arizona, I only "met" Elizabeth over the phone, and had no idea who to even look for when I showed up last Saturday! I didn't have to worry at all though, because this was the sweetest, most laid-back couple ever. The love they have for each other was so apparent that no one could have missed it. When I pulled up to the ceremony spot, I just had to take a few minutes to just stare at the view. It was gorgeous, and the site was surrounded by Saguaros and desert blooms. 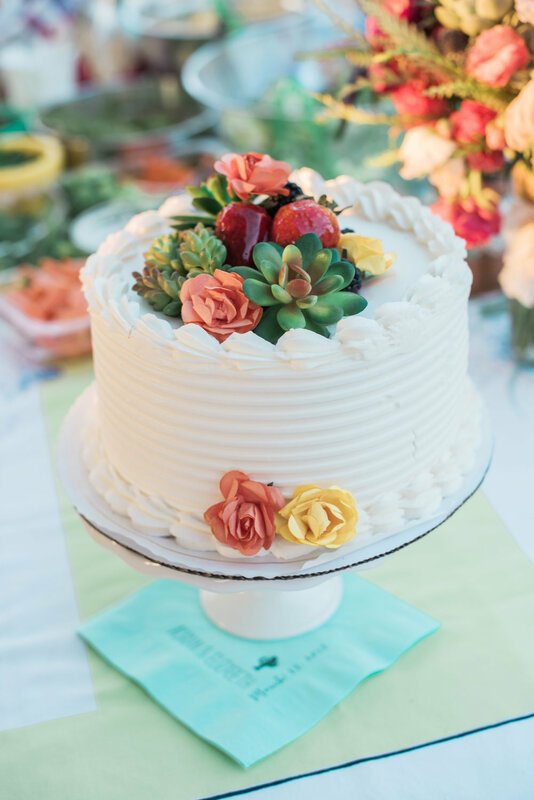 The little touches that were added for decorations were gorgeous and the succulents tied in to the whole theme. Fast forward to the beautiful ceremony. Elizabeth and Adrian didn't do the typical, normal ceremony. It was filled with music sung by numerous family members and even the couple themselves! There wasn't a dry eye in the house...erm, desert. 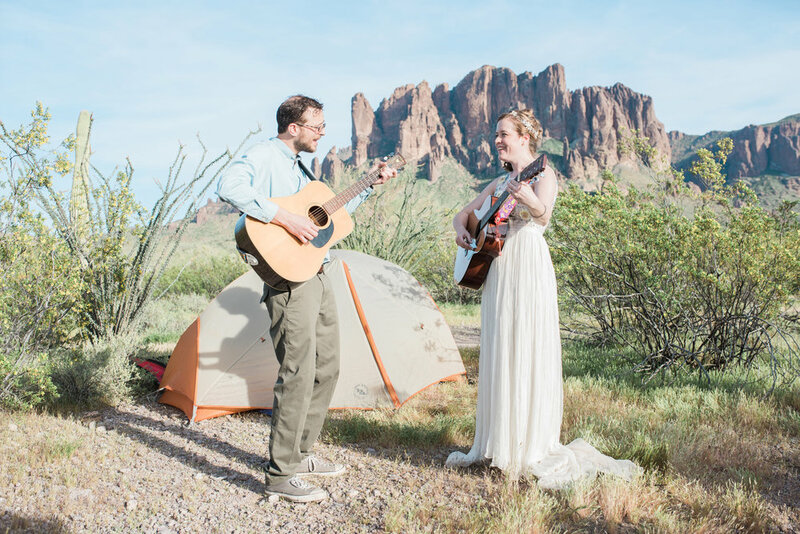 Camping is a love that they both share so during a beautiful love song sung by Elizabeth's brother (who also officiated), Elizabeth and Adrian snuck in to the tent to exchange vows privately. After the vows, songs, and formalities of "making it official" Adrian could not have been more excited! It was a beautiful day and I couldn't be more excited to be getting this sneak peek out to this lovely couple. Elizabeth and Adrian, I wish you a lifetime of happiness and I'm so glad that you trusted me to shoot your wedding.